Luis Suarez, wearing a suit with black bowtie and a chauffeur’s hat, greeted us at the hotel and asked us what we wanted to see on our personalised afternoon tour of the east of the island. Well, a Louis Suarez lookalike at least, who took his role as private chauffeur very seriously. He recommended an itinerary, which sounded great to us, so we hopped into the car and were off. Within minutes we were out of Funchal and heading up into the hills, and it wasn’t long before we were able to stop for a particularly advantageous view back over Funchal from above. We headed to Santa Cruz next, close to the airport. A wonderful little town, with a lovely church built in the 16th century. The kind of place with coastal European charm, white-washed buildings, narrow streets, cafes with tables and chairs set up in the pedestrianised areas always full of people relaxing with a coffee, and a scenic rocky beach. We really enjoyed strolling around this peaceful place, a place I’d recommend lingering longer. We headed up now on a steep climb to a fabulous vista in a place called Machico, green mountains peppered with villages to the west, the endless blue of the Atlantic to the east. The only other thing here was a lonely chap selling ice-creams and beer in a little kiosk the enterprising chap had set up. It’s a wonderful contrast of where the green mountains meet the blue sea. From here we headed to the long thin volcanic peninsula at the far eastern edge of the island, up through a windy road with huge boulders at each side , and came up to one of the highlights of the trip, the breathtaking sea cliff views at Ponta de Sao Lourenco. 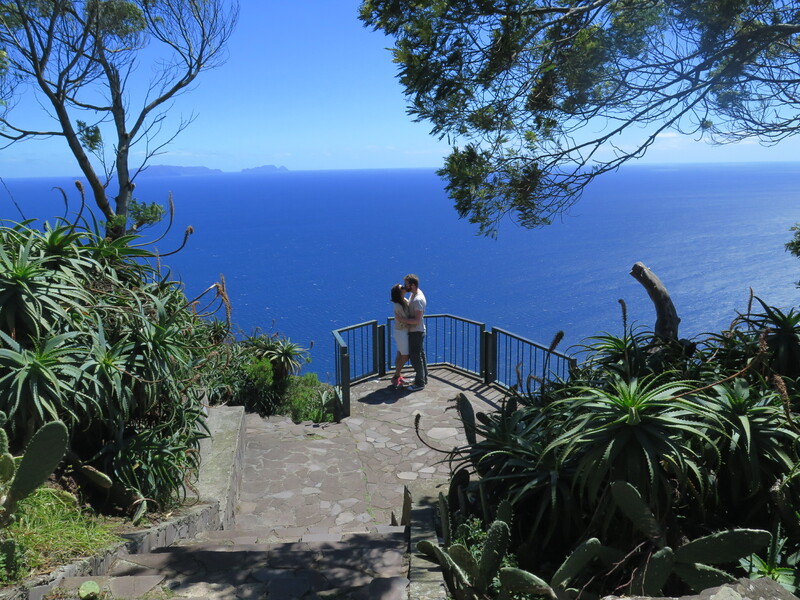 This area of Madeira is quite arid, and, with the howling North winds, there is a distinct lack of the lush green vegetation and trees you can find in other parts of the island. The paths along the cliff edge take you on a breath-taking tour of of spectacular sea cliffs, shaped and sculpted by nature….there are no barriers here….you’d fall if you leant too far back trying to get the perfect selfie. Lava lizards were darting about the place – I almost slipped over trying to grab the perfect posing lizard shot. The spectacular views can get spectacularly windswept at times, but we all we felt was a lovely fresh breeze as we sat on a boulder and basked in the beauty of our surroundings. We went up from here into misty mountains, with aim of reaching Pico do Areiro, the 3rd highest peak in Madeira. We stopped at the Ribeiro Frio trout farm first, a beautiful looking fish farm set in lovely grounds, and also a place where some of Madeira’s levada walks go from. The trout here get refreshed by the natural levada water. Still, however joyous for them this may be, they still end up on a plate eventually. Nevertheless, it’s a lovely life they enjoy at this trout farm – a much less sterile place than your regular fish farm. The backdrop of the forest and the mountains provide wonderful views, and a lovely cool respite from the heat of the rest of the island. 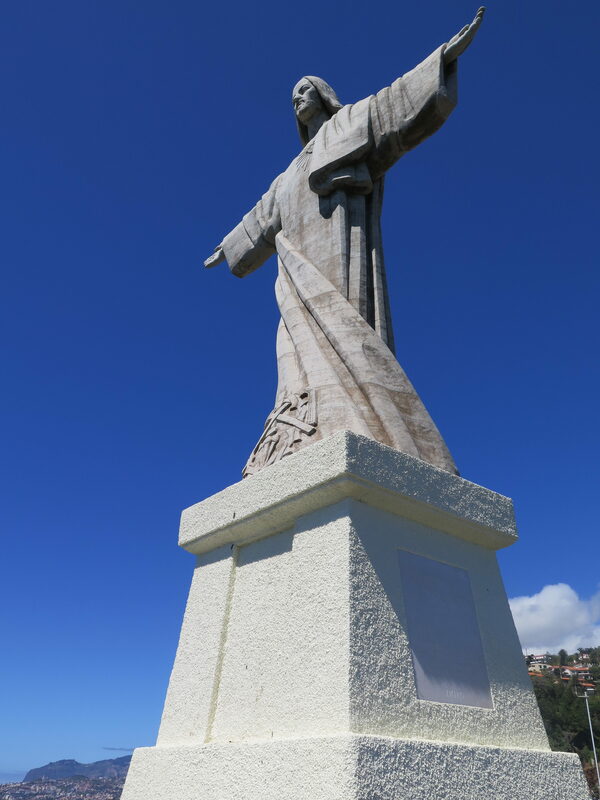 We had a cup of coffee and headed further up to the 1810m Pico do Areiro. 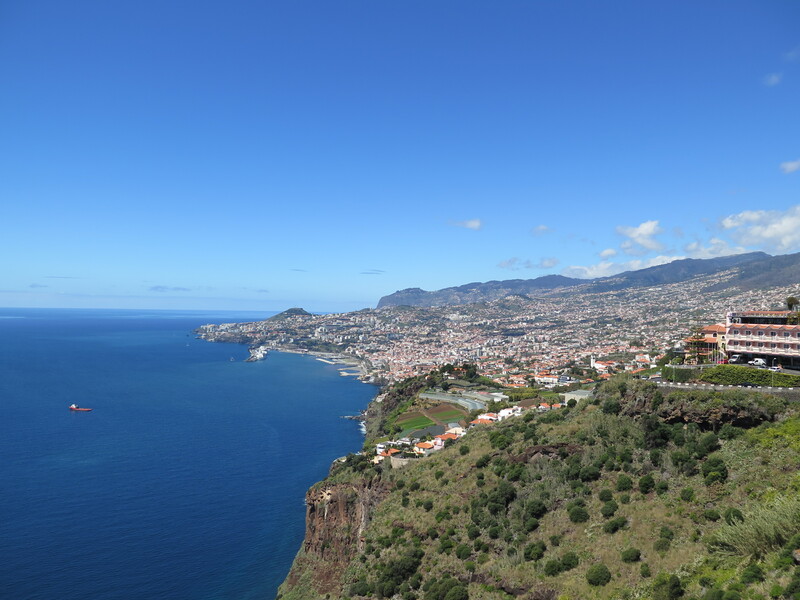 The views here are said to be some of the most spectacular in all Madeira, with people describing the experience as “sitting on the wing of an aeroplane above the clouds.” We had a similar feeling – though we were sat on the wing of an aeroplane in the clouds. We couldn’t see a thing, and, shackled by time limits of our private tour, we had to abandon the mountain to make it back to Funchal in time for tea. 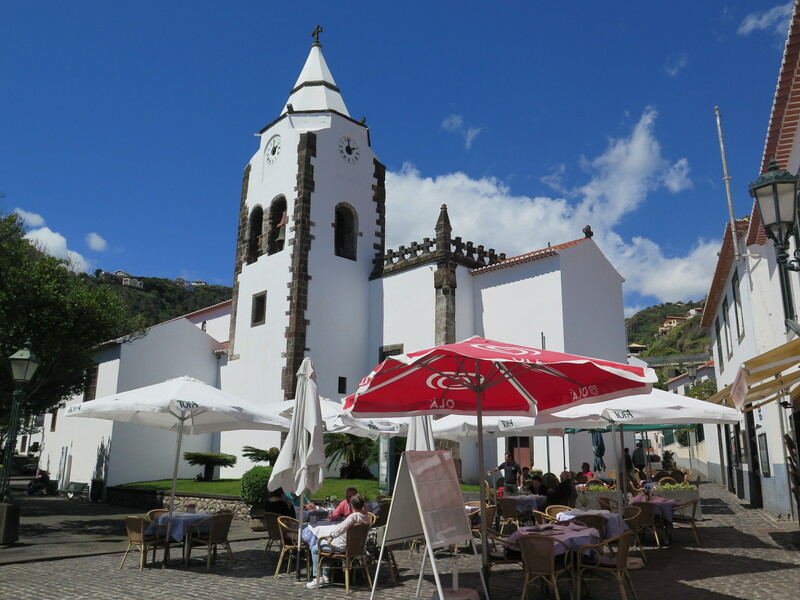 Back in Funchal we explored the town a little more, finding it quite a charming place indeed. We had a cheap dinner, another poncha, then it was time for bed we had a full day tour lined up for the next day.